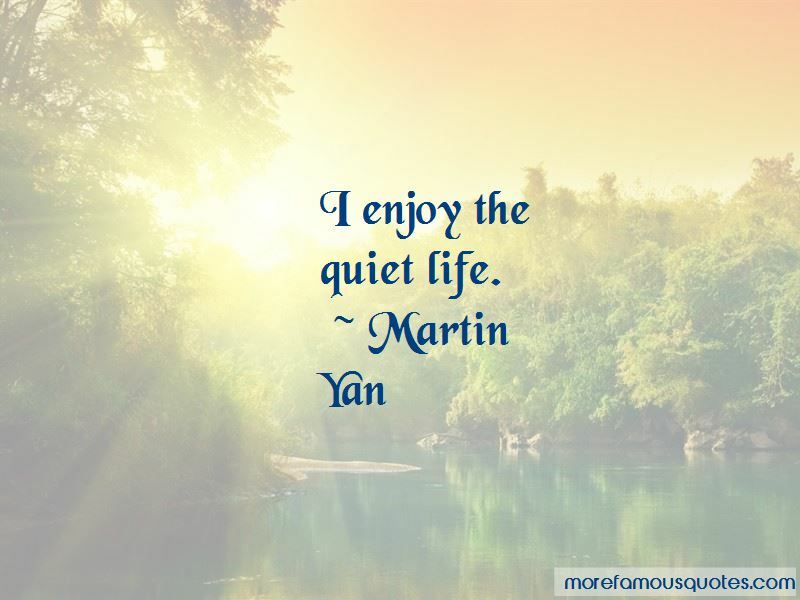 Enjoy the top 37 famous quotes, sayings and quotations by Martin Yan. A lot of people don't enjoy their job, they may even hate it, but I am lucky enough to be able to make a living through my passion. 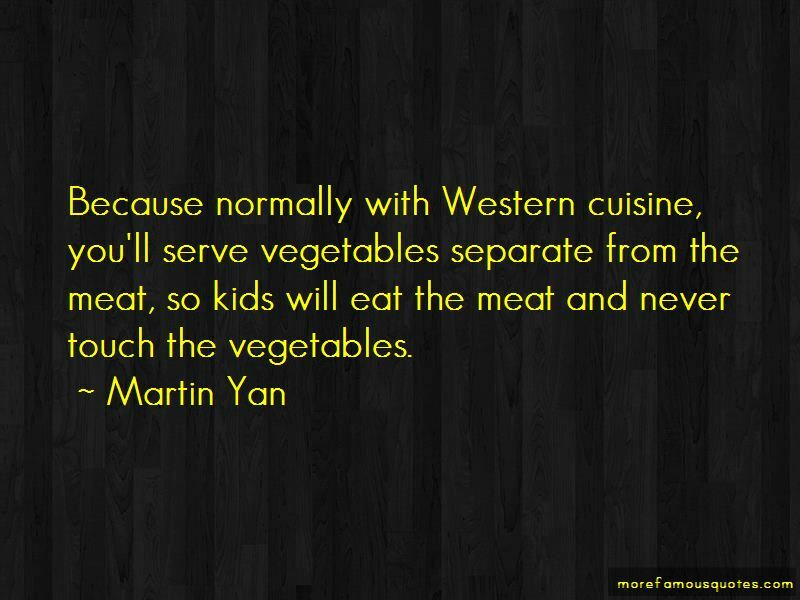 So when I do Chinese cooking, I mix everything together, then the kids have to eat their vegetables. They won't have the patience to pick them out. Soy sauce is really a multi-purpose seasoning. The problem with a lot of Chinese is that they put up divisions between Taiwanese, Hong Kong natives, mainlanders. We are never united. I really hope that the Chinese can be more united. 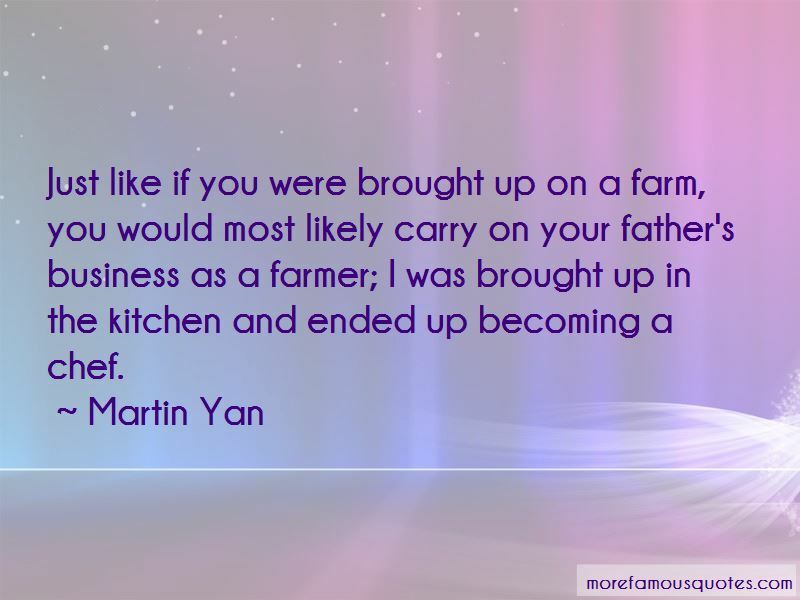 Want to see more pictures of Martin Yan quotes? 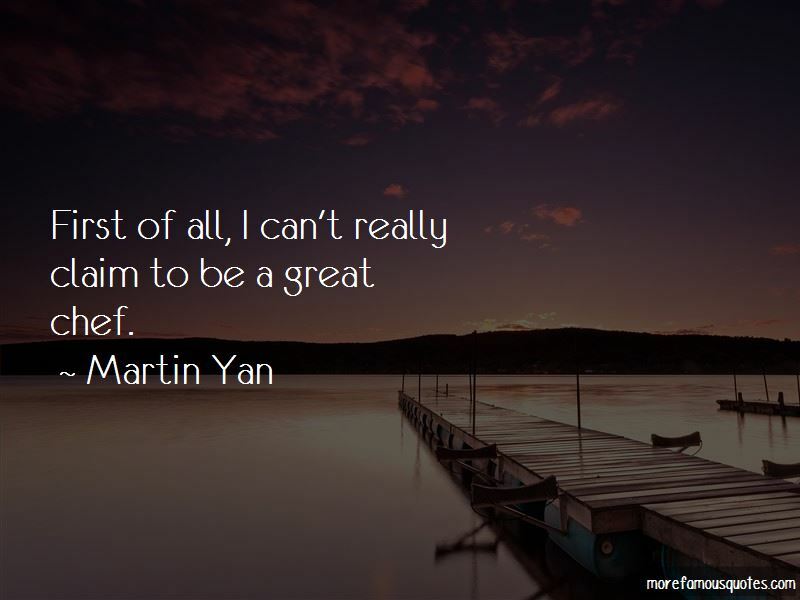 Click on image of Martin Yan quotes to view full size.